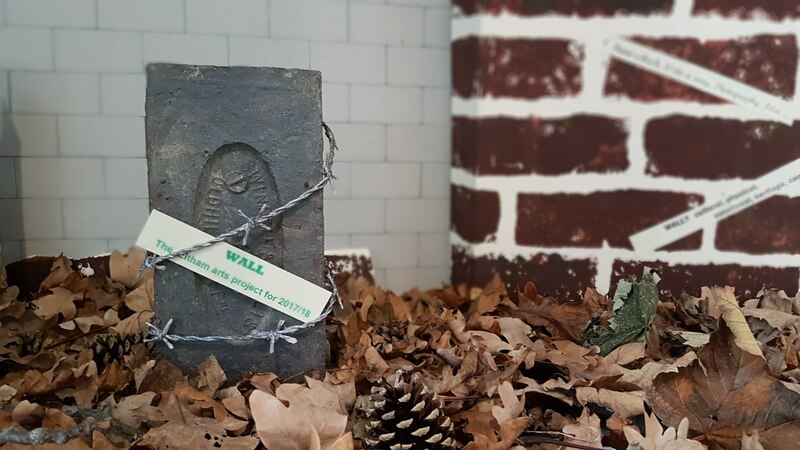 The wall project invites you to look and think about the walls that may surround you, acknowledge them and express your views through a creative form. It can be music, writing, visual art, craft, theatre, digital, painting, collage or any other creative form. A project by Artiday, led by Pragya Kumar and John Wingham. Pragya is a collage artist and she is exploring the theme Wall through a series of visual arts workshops. She is inviting members of the community to address the walls around them by designing their own bricks for an art installtion. Bricks on the wall - Design your own brick for our community wall installation. Pick one from Eltham library or make one at our drop in workshops. Local primary schools (including Haimo Primary School, Wyborne Primary School, Middle Park Primary School), GLL Better libraries in Eltham & New Eltham, St Thomas More School, SE9 Container Gallery, Eltham Palace, Gerald Moore Gallery, El Recreo Spanish Club, Hooked on Crochet, Community Association of New Eltham, Artiday, John Paul O’Neill (Farrago Poetry), Robert Piwko Photography, Elisabeth Isitor Photography, Sandra Marques, Bruce Jerram, Hulviz theatre group, Royal Borough of Greenwich, FolkMob, Bob Hope Theatre, Cultural Connection, Visit Greenwich, Greenwich Visitor.